Gerflor features at The British-Irish Airports EXPO, hosted by Birmingham Airport, returns to The NEC in June 2017 to present airports, airlines, vendors, service providers and the wider air transport eco-system with the opportunity to share experience and make valuable business connections. The event also features a large amphitheatre- style conference stage within the exhibition, where British-Irish airport CEOs and other CAPEX, Operations Directors, and senior departmental specialists present their development and CAPEX plans. The British Irish Airport Expo 7-8th June at the NEC is a veritable ‘runway’ of manufacturers and suppliers showcasing the very latest products that are relevant to the aviation sector in today’s climate. Their commitment to research and design means that they can save airports time and money. Gerflor supply fast track installations with no need to close the facility. Their GTI Max product is a perfect solution for front of house, walkways and corridors. When Heathrow and Frankfurt Airports needed to specify flooring for several of their terminal areas they turned to Gerflor to supply their GTI Max flooring. 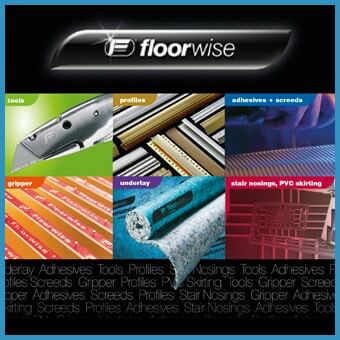 Gerflor also supply a host of other flooring solutions for reception areas, back of house and retail locations. Nav Dhillon, Marketing Manager, Gerflor UK commented, “Attending this event provides us with the perfect opportunity to really wow the visitors with a stunning selection of our flooring solutions”. She also added, “Being fit for purpose is also a strong feature of our airport terminal offer with technologies being better than ever before, offering flooring products that look great, are durable and truly fit for purpose”. The event is a convenient, free-to-access opportunity to research your airport’s future investments and connect with the leading vendors and service providers supporting British and Irish Airports. Visit us to see, touch and discover the very latest airport and terminal specific flooring products on stand B23, 7-8th June, 2017, NEC Birmingham.